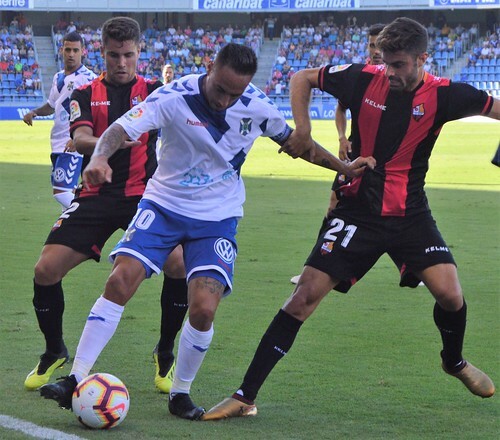 Nano and Naranjo sound like a firm of accountants but the strikers have failed to bring any net gains to CD Tenerife this season. The lowest point so far came with a 0-1 home defeat to lowly Reus, bringing the new league season form to 3 draws and 2 losses, plus a 1-2 home defeat to Cadiz in the Copa del Rey. 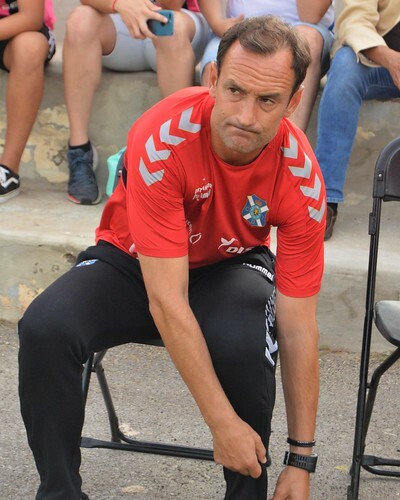 As other results put Tenerife in the drop zone, the club acted quickly to sack coach Joseba Etxeberria and appoint Jose Luis Oltra who took Tenerife into La Liga in the 2008-2009 season. Inevitably fingers were pointed at coach Joseba Exteberria but he did all the right things this game, starting with Undaberrena in midfield and Hector Hernandez at left back after their impressive debut showings in the midweek cup defeat. The starting line up also included the clubs best players, Luis Milla and Bryan Acosta in midfield. Tenerife looked bright in the first half, a Suso cross was helped on by Naranjo but Malbasic was slow to react and the chance had gone. Veteran Suso has been putting the younger players to shame and continued with a couple of early raids, including a defence splitting diagonal ball to Naranjo that the goal shy striker lost to a defender. 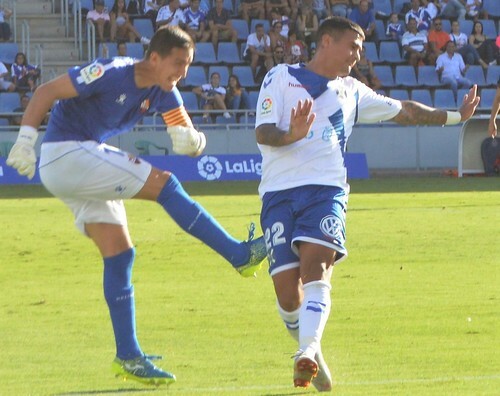 An old nemesis came back to tease Tenerife, Edgar Badia in the Reus goal had proved himself before to be a mix of inspiration and irritation, he inspired his team mates with some great saves and irritated Tenerife with his constant gamesmanship and delaying tactics. After Malbasic had headed a chance at the keeper, Acosta hit a fierce shot that Edgar tipped over. 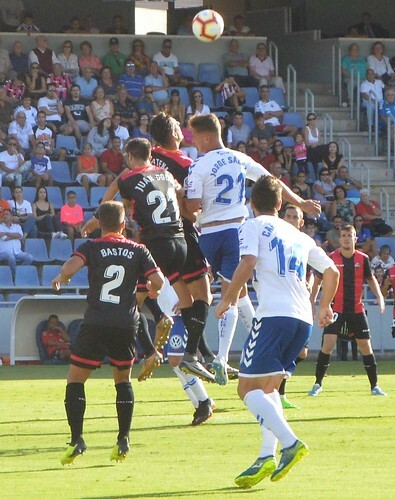 At the other end Dani Hernandez had only one first half chore, taking a routine shot from Reus player Borja Herrera. One of the best home moves came on the half hour, Undaberrena fed Acosta who brought another splendid save from Edgar. Luis Milla got a slice of the action with a goal bound strike that was headed clear, it all looked very hopeful at the half time break. Time was Tenerife´s enemy, a win was vital and Reus were happy to sit back and frustrate as the second half got underway. Another Acosta effort was easily dealt with by Edgar and a rare Reus attack ended with a header off a post. Naranjo was useless, no supportive runs, no holding up the ball, and no clear attempts on goal, no wonder he was off after 55 minutes, could his replacement Nano find his first goal? The La Laguna born strikers first touch of the ball was easily blocked by Edgar. Milla went close with a low drilled shot, an Acosta corner missed defenders and attackers alike and the frustration of the 9,532 crowd was growing. Next swap was Montañes for Undaberrena, that should have given Tenerife more width down the left but it didn´t really work. It was all happening on the other flank, where Suso was busting a gut to prise open the Reus defence, Villanueva fouled him in the box but the ref wasn´t interested in giving a penalty. 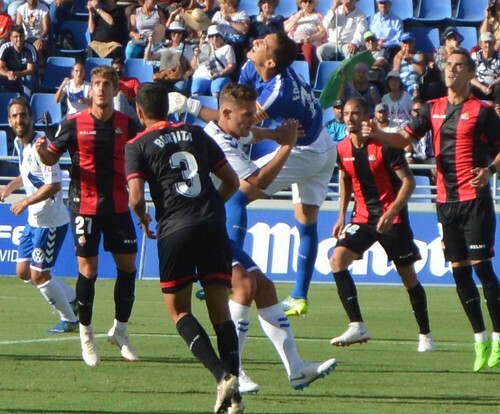 Tenerife had to push forward and Reus fancied their chances on the break, Ortiz pounced on a loose ball and headed towards the Tenerife goal, a pass to Alfredo left him facing Luis Perez and Dani Hernandez at the post. With the help of a rebound, Alfredo forced the ball in the goal as Dani hesitated. Just 10 minutes remained to salvage the game, forward Borja Llarena came on for defender Jorge for the final push but Reus dug in. Edgar used every trick in his power to waste time and Tenerife didn´t have the cutting edge to break through. Four minutes of injury time didn´t help, Nano´s only real contribution of the afternoon was a last minute low shot straight at goalie Edgar. There were some whistles from the crowd at the end, a sign that the tide was turning against the coach and some players. No new players can be brought in until the January transfer window, that left the coach as the easy option for change but Nano and Naranjo were both long term targets for sporting director Serrano, maybe he should take some of the flack. That first win of the season is like a long overdue train, away to another of the new boss´s old teams, Cordoba on Saturday 22nd September,it wouldn´t be a moment too soon.